It is effective to treat for the depressed scar and deeper scar from the Acne. It’s also effective for facial depressed scar from chicken pox and other accidents. Before, the clinic used for fractional laser like fraxel laser, but it’s limited to treat them for the scar. The scar is pitted and depressed on skin surface and it formed into the dermal layer, deepest area in the skin. So, it’s hard to treat deepest scar by fractional layer only. In the picture, we can say that the scar is like the ice berg. 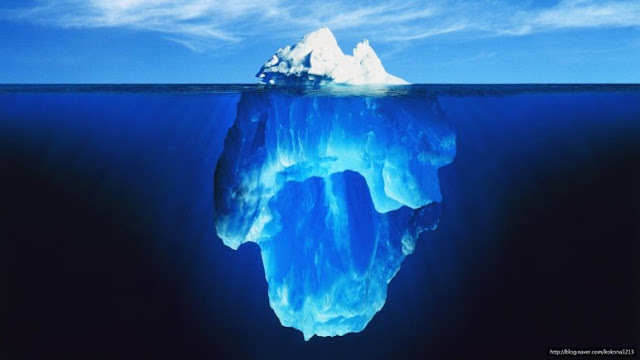 The ice on the surface is a part of the scar and we can see more iceberg under the surface and it’s like depressed and pitted scar. The depressed scar means that fibrous tissues holds together and make harder from the scar area. That’s why the tissues pull the scars into the depressed area. By injection CO2 gas into the skin layer, it cuts off the hard fibrous tissues and makes air-pockets. Air-pockets help the new skin tissues grow and fill up into the scar. Also, it’s injected by DNA injection to regenerate collagen into the scar to fill up. DNA injection is PDRN (polydeoxyribonucleotide) ingredient that helps for the damaged cells, scars and wounds. Also, by injected self-corium, it helps to slow down the adhesion of dermis and help the skin to regenerate collagen and elastin into the scar. On March, the men in 40’s age came our clinic to remove the scar on his forehead. He got the scar from 20’s age. When he is older, his skin loses tightness and it makes the scar deeper and depressed. However, he went to the other clinics and they said that it’s hard to treat it by laser, and recommended Invasive surgery. Also, you might leave the scar little bit after the surgery. So it required to have laser treatment as well. He got the deep and long scar on his forehead. DNA Self-corium helps to remove the scar to fill out the skin. Can you see the result right after 2 sessions from DNA self-corium? you can see the difference with Before & After photo. 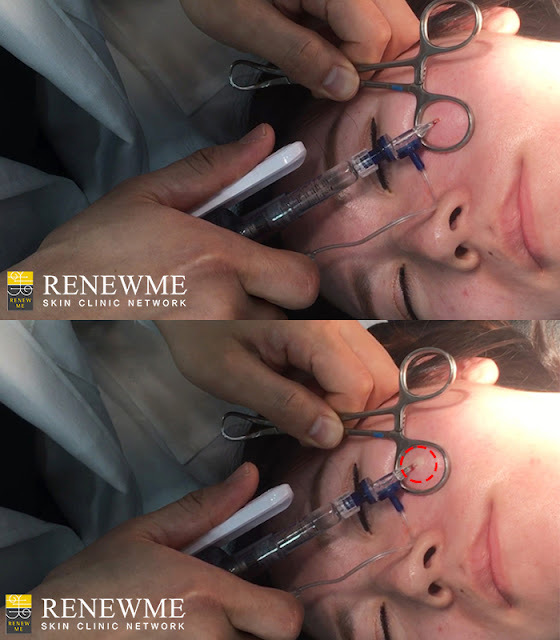 It is a effective way to treat the scars and procedure time is as short as 10-30 minutes, and it has almost no downtime and patients can go back to daily life. Also, they can get satisfactory results with fewer sessions.